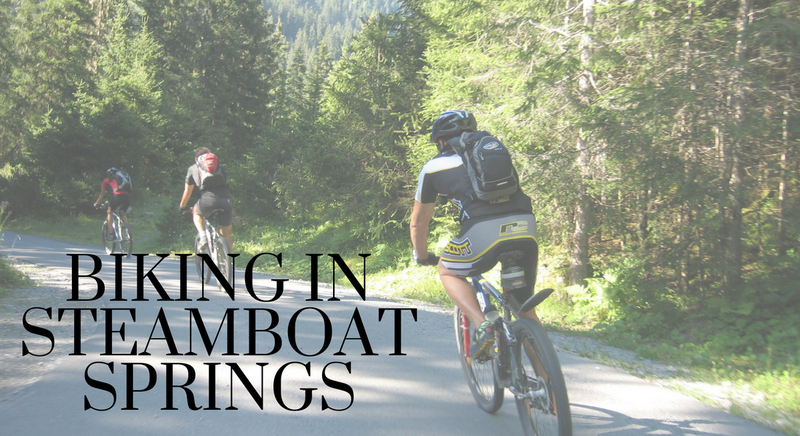 If you are new to Steamboat Springs or just passing through, you may not know that Steamboat is one of the fastest growing bike-friendly towns in the United States, so much so that Steamboat Springs is nicknamed Bike Town USA. Whether you are a road bike novice or a seasoned cycler this city offers trails and loops for everyone. Here are a few of our favorite routes of varying difficulty. If you are looking for an easy, scenic ride through the countryside then the Catamount Out & Back route is for you. This is a 10.86-mile route and takes an estimated hour to an hour and a half. Beginning in Steamboat Springs you would head South on CR 14 (River Road), then at the junction of CR 35 you will veer to the left across some railroad tracks while staying on CR 14 (which is now called Hudspeth Lane) and keep going to intersection 131. You will head left onto 131 to CR 18 and ride around beautiful Lake Catamount until the pavement ends. At this point, you have reached your turnaround. As a bonus, you can stop and have lunch at the Catamount Ranch & Club Lake House Grille before your return bike trip back to Steamboat Springs. For riders of a more intermediate level, the Rabbit Ears West Summit Out & Back is a 28-mile route featuring beautiful scenery and takes approximately 1-3 hours depending on your riding speed. On the way up, you will ascend to an elevation of 9330 feet so be prepared for a vigorous leg work out on the way up and a cruising fun ride on the descent down. This route begins in Steamboat Springs where you would head East on Hwy 40 and up Rabbit Ears pass to the West Summit where at this point you can turn around and head back or continue with your ride. If you are ready for a strenuous and more advanced route Coal Mine Loop may be calling your name. This is a 40 mile there and back ride through gorgeous ranchland beginning in Steamboat Springs you will turn west on 13th Street and stay on CR 33 (Twenty-mile Road). You will see four climbs that will lead you to the intersection of CR 27. If you retrace the route it is 40 miles there and back, you can also extend your trip by turning left when you reach CR 27 and riding on until you are just north of Oak Creek. You will turn left on Hwy 131 and ride on until turning left on CR 14 which leads you back into Steamboat Springs.